Here is a little something for us to start off our Monday. I happened across this fantastic tote at Turpan this weekend. 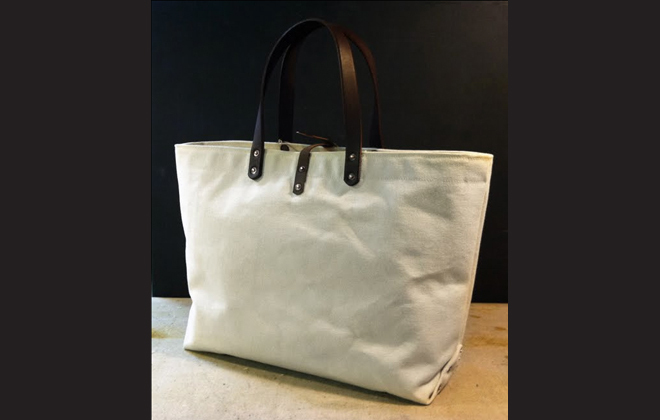 It is made by Stanley & Sons Apron and Bag Co. and it is beautiful, lightweight and durable and made right here in NYC by Chris Grodzki. 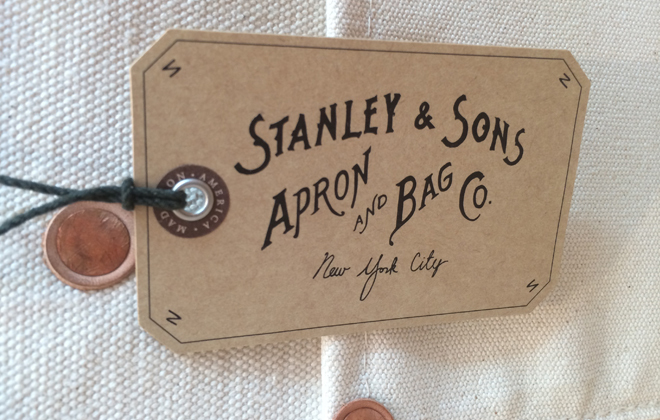 The original Apron and Bag Company was founded by Chris’s grandfather, Stanley Grodzki. Chris re-established the company inspired by his grandfather’s original vision to uphold close attention to detail and construction of an American made product. They are truly built to last and now I can’t wait to check out their aprons. You can find their products here. 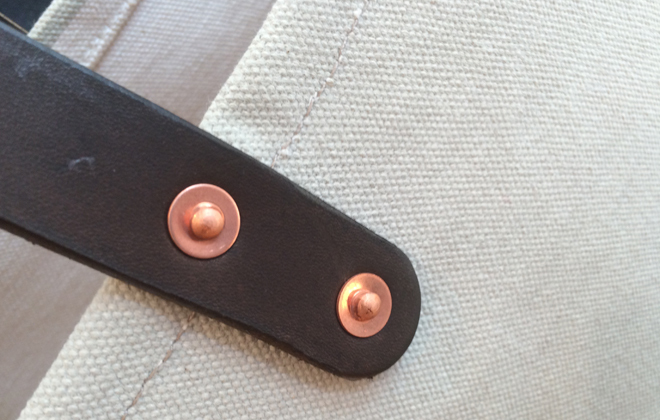 Great rivet detail on the leather straps. Photo by Interior Monologue. One of their great tote bags. Photo from Stanley & Sons. I love their signage. 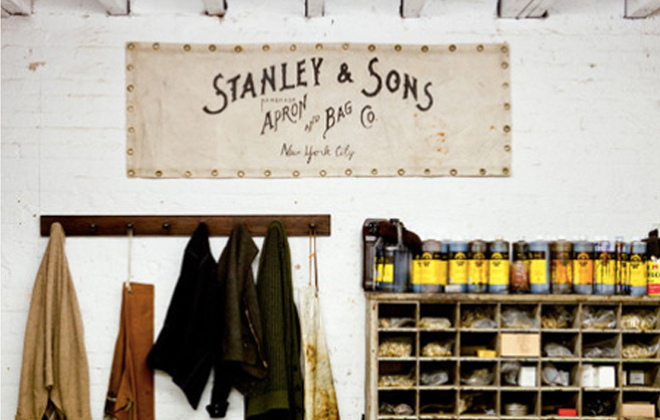 Photo from Stanley & Sons.